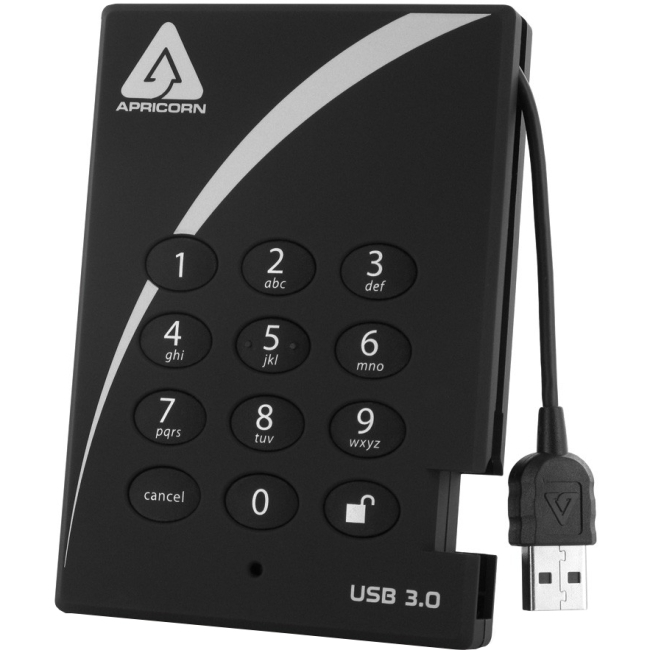 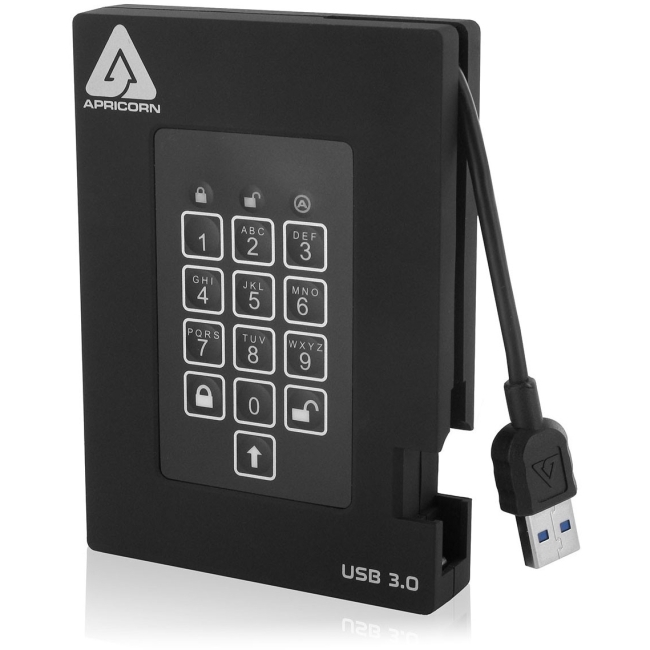 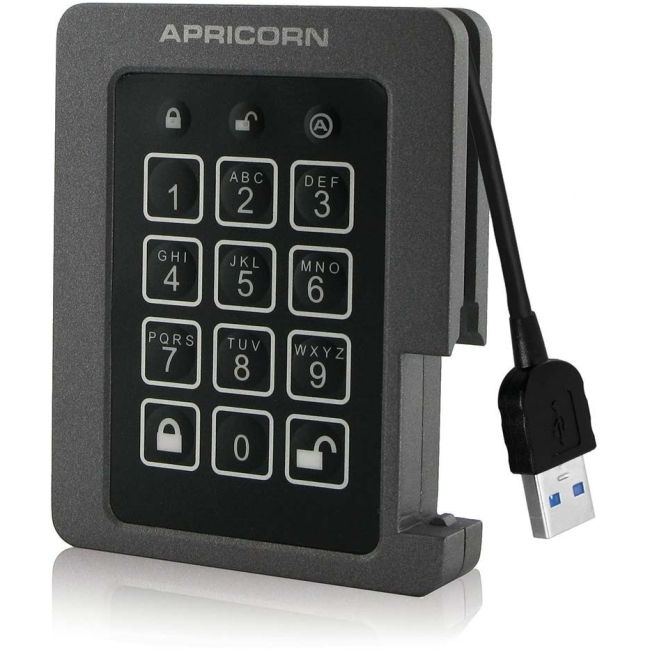 Clocking Speeds of over 200MB/s Apricorn's Next Generation USB 3.0 Encrypted Solid State Drive Fuses FIPS 140-2 Hardware Data Protection with a Rugged DesignWith no moving parts, this drive is drop and vibration resistant, unaffected by high humidity and works in extremes of temperature. 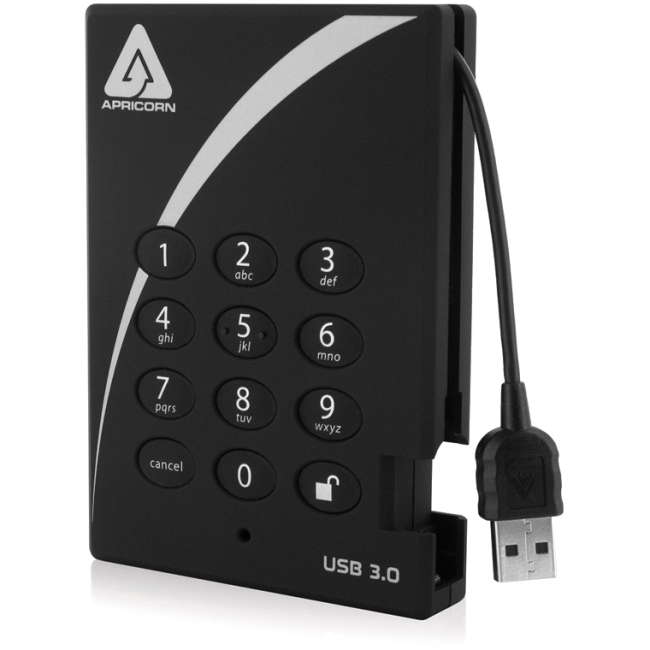 Invincible to key logging attacks, you access the drive with your own unique PIN via an onboard keypad. 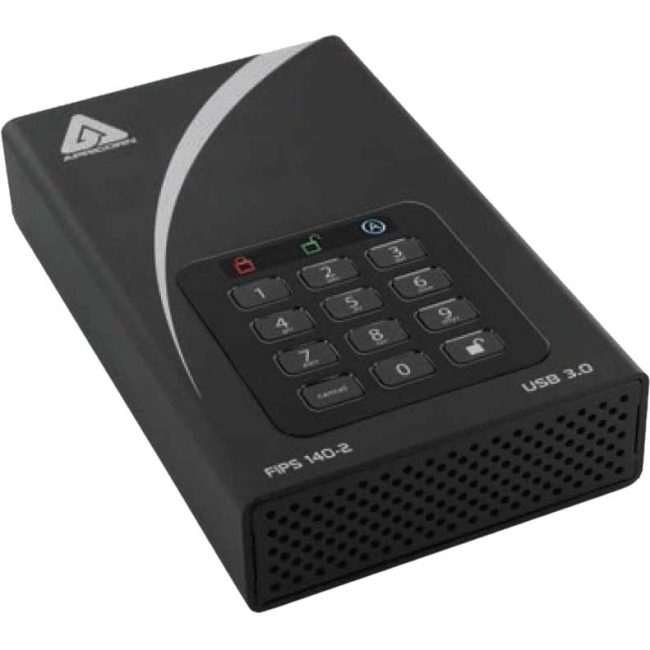 Certified to NIST FIPS 140-2 Level 2 requirements, this drive is tested on 11 cryptographic levels. 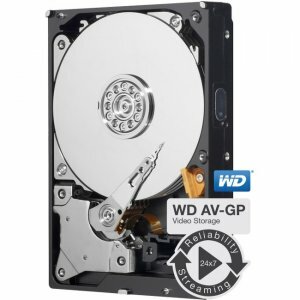 All data on the drive is protected with real-time hardware AES-XTS 256-bit encryption, and with no software required for installation or operation this drive needs no ADMIN rights. 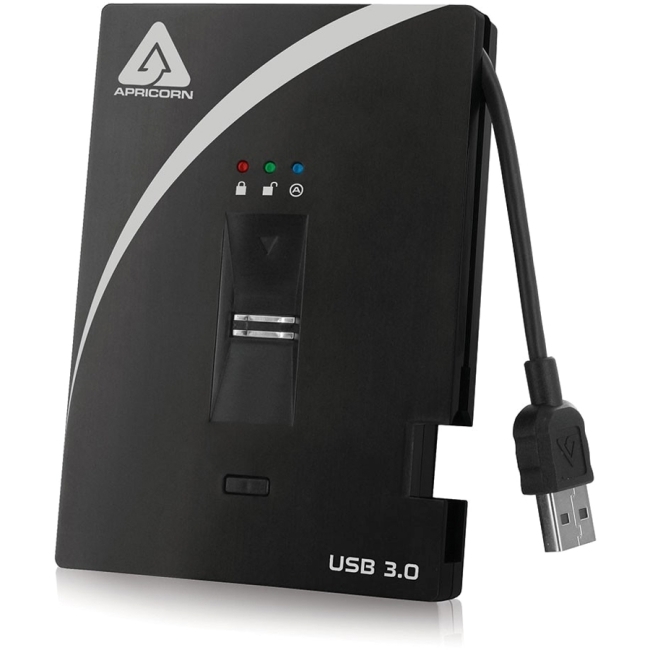 Combine this with a USB 3.0 integrated cable and SSD performance, and you have one powerful drive.